SMARTBOND is the latest technology in hair care – a new exciting re-bonding system treatment by Loreal Professional, and we are proud to say we are one of a select group allowed to offer this treatment to our clients! Mixed into your colour or as a stand alone service, SMARTBOND rebuilds the internal bonds of the hair – making it stronger, especially during the colouring process of the hair. There are 3 components: Step 1 and 2 are used in the salon, and Step 3 is for when you are at home. 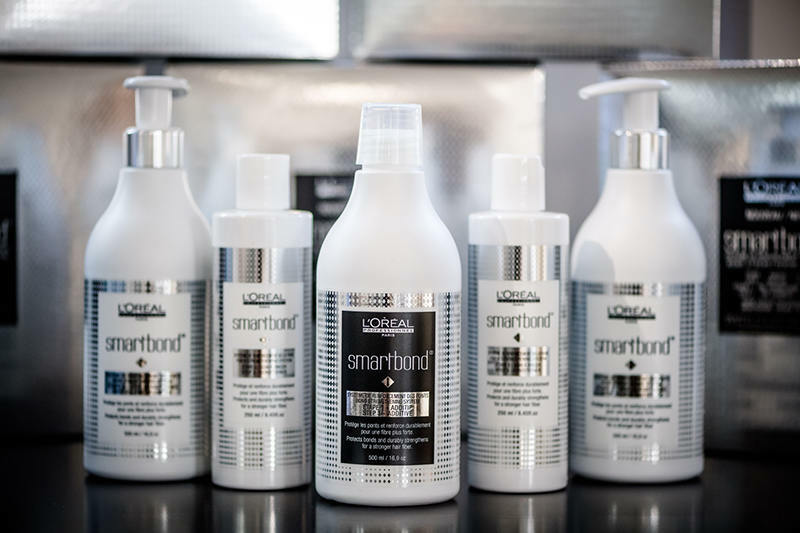 SMARTBOND is very easy to use and can be easily adapted to any haircare routine. Judena Hair are a L’Oreal Professional specialist salon – our staff are highly trained in the latest technology and we’ve seen incredible results from using SMARTBOND in our clients’ hair. Book todayto take advantage of these special offers!